Thank you for visiting Applied Metering Technologies, Inc.
We have installed thousands of utility type electric meters and submeters from virtually every manufacturer. Meter Installation is our core business but we provide services for the entire spectrum of metering technology. This includes power meters, sub-meters, CTs, VTs, all ancillary meter equipment, energy managment systems, and solar meters. We are a CAISO certified turn key equipment installer and CA electrician certified. We provide services for meter reading, meter data management, smart meters, solar meter management and installation, demand response systems, energy efficiency programs, and networking for metering devices. Copyright 2005. Applied Metering Technologies, Inc.
At AMT, Inc., meter installation is our core business but we provide services for the entire spectrum of metering technology, including CT, PT, VT, power meters, sub-meters, communication runs, data logging services, and solar meters. We have installed thousands of utility type electric meters and submeters from virtually every manufacturer. We are a CAISO certified turn key equipment installer and CA electrician certified. Installation of remotely read meters, CTs and secondary wiring at several military bases with some facilities as old as 60 years. Installation of energy management systems and data collection equipment at hospitals in CA, AZ and NV. Installation of wireless IP addressable meters for a local municipality. Installation of submeters and phone line extensions at several community colleges. Installation of meters, CTs and equipment on several self-generation projects. Below is a list of products that we use for installations. Place your mouse over the images to see more information. We are currently hiring Journeyman Meter Technicians! The technical experience of AMT's management team is as diverse as it is comprehensive. 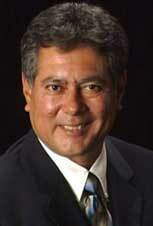 Mario Natividad, the founder and CEO, has 35 years of metering experience, 29 at Southern California Edison. He began his career at SCE as a testman helper in the company's meter shop and eventually became the manager of SCE Electrical Metering Services, a position he held for seven years. As manager, Mario Natividad had oversight of four groups: the meter shop, the distribution transformer repair shop, the field section of approximately 170 meter testmen and supervisors, and the meter engineering support services organization. He has published in the "meterman's bible," otherwise known as the EEI Metering & Service Committee's Handbook for Electricity Metering, 9th Edition. 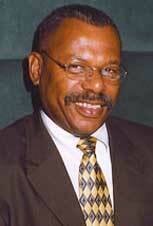 He was actively involved in the EEI Meter and Service committee, a national organization based in Washington, D.C. In addition to serving as the second vice chair of the EEI Meter & Service Committee and chair of the Management Practices Subcommittee, he was nominated and became a member of the AEIC, Association of Electric Illuminating Companies, Meter & Service committee. Nomination to this committee can only be made by existing members of the committee and is reserved for utility metering professionals who have demonstrated leadership and innovation in the metering field. He was selected by SCE to represent the utility on the Electric Power Research Institute's Advanced Metering Target group. He also co-founded and chaired the Southern California Meter Users group comprised of meter professionals from municipal and private utilities. AMT's chief engineer, Johnell Holly, has approximately 27 years of experience in metering as a journeyman technician, instructor, and engineer. He also has experience as a communications technician. As an SCE engineer he was responsible for maintenance, updates, and technical support of the meter software used to program SCE's TOU meters. Johnell Holly was also a project manager for SCE's load-survey system, and was instrumental in coordinating SCE's load-research metering projects. Johnell Holly later was a lead engineer for SCE's AMR effort. He has developed numerous training modules for field technicians use on laptop computers to program and read meters optically in the field. He currently supports customer integration issues and AMT field staff on technical issues involving meter software, hardware and communications. AMT's logistics manager, Cynthia Lastrapes, has over 24 years of metering experience. Her background includes journeyman meter technician, meter analyst & supervision at SCE. AMT's meter technicians average over 20 years in utility metering and submetering. Our staff has been complemented over the years by many customers for their exemplary professionalism, excellent meter knowledge and high customer service. It is their skills that have brought AMT increased business through customer referrals. Once you have seen first hand our team in action, you will know you are in capable hands. AMT techs work high voltage and perform complete meter wiring and services from the smallest commercial business to large substations. Our communications technicians are equally experienced and average over 15 years experience in communications cabling. When you consider that virtually 100% of all the meters we install have remote communications, you understand their experience in cabling specifically for electric meters and equipment. Their capabilities include all cabling from common POTS to complicated fiber optic runs. They are adept at connectivity and integration to existing customer systems. They also install submeters and energy management systems. Q:	What does AMT do? A:	We provide a multitude of services around the installation and testing of electric meters, energy monitoring equipment, and the meter related equipment like CTs, PTs, data loggers, and controls. Our expertise is in understanding the nuances of electric meters and in ensuring your energy is accurately metered. Q: What is your typical response time and availability? A: We are usually finished with our schedule for the following week by Thursday of each week. For large projects we can commit for an extended period. For example, we presently have 8 technicians performing meter installation and testing for the next year. We also have California ISO work scheduled over the next couple of months. And we are continually dispatching technicians on maintenance service calls. Q:	Our project involves a need for site inspections to gather information on the equipment requirements. Do you offer these services? A:	AMT is a turn-key provider. We can assess your needs on site after gathering some information on your data requirements and overall scope. From there we can procure your meters and equipment and schedule the installation. We will also work with meters and equipment that you purchase and provide. Q: Do you also provide services for communications wiring? A: Yes. We are expert at installing wiring for Ethernet communications, Modbus, and plain telephone line extensions. One project we had entailed running Cat 5 for over 400 meter points between buildings and pulling through existing conduit between underground vaults and running lines up/down multiple floors. Q:	Can you integrate newer meters to existing systems? A:	In most cases we can provide newer generation meters that will work with your present system. We would be happy to discuss your project needs. Q: Our project is well over 10MW of generation. Can you meter this? A: Yes. Our technicians are qualified to install meters, current transformers, and potential transformers at primary voltages. We install meters for the California ISO on a regular basis and provide the RIG (Remote Intelligent Gateway) through a partner provider. Q:	What is your geographical area? A: In general we serve the southwestern states. However, we have installed equipment in over 30 states. Please call us if you have a project in mind. Q: Does AMT have more than one office? A: Our main office is in Los Angeles County but we also have technicians in Northern California and our Chief Engineer is in Texas. repeatability, and low ownership costs. only in high performance and high cost systems. electric power networks, service entrances and substations. energy, power measurement and power quality capabilities. easily into large-scale automated meter reading (AMR) systems. Bill C&I customers for the energy they are actually consuming. metering system when you are. functions to be installed without disturbing the finely-tuned metrology. that are quickly becoming more difficult and costly to maintain. Adapt meters easily and cost-effectively to meet the needs of your customers. (TOU), load profile and various communication protocol options.